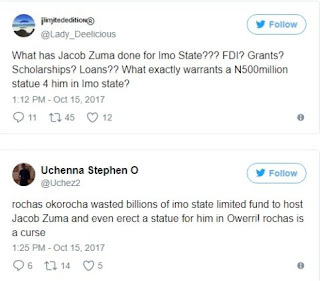 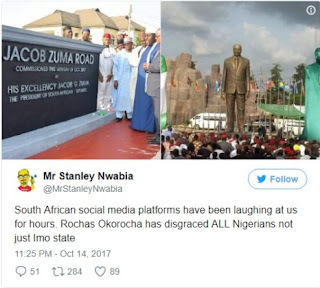 The Imo State Governor, Rochas Okorocha has come under fire from Nigerians for the unveiling of a statue for South African President, Jacob Zuma in Owerri, the State capital. 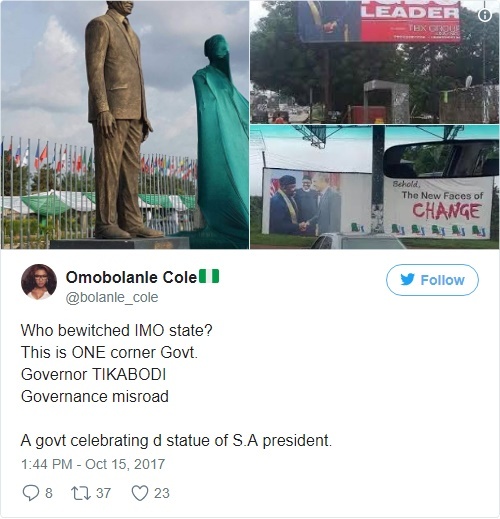 The President was also conferred with a chieftaincy title and also had a road named after him. The giant statue was unveiled yesterday, October 14. 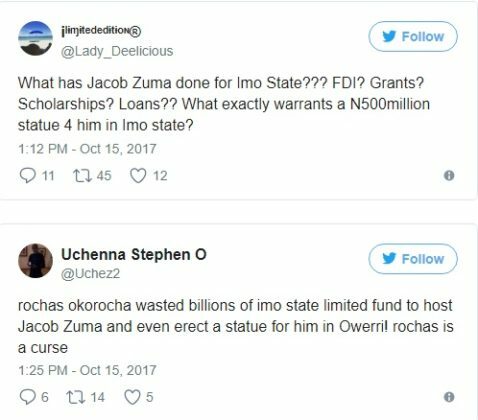 Okorocha’s decision to honour Zuma came at time when Nigerians residing in South Africa are being killed in renewed Xenophobic attacks. 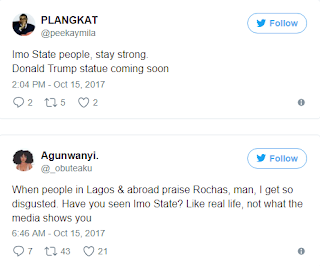 Below are tweets of Nigerians as they expressed sadness on the statue.